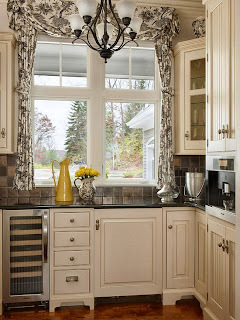 Use glass doors to showcase personal collections of fine antiques, sentimental glassware, or playful pottery. Display colorful dishes to energize an all-white kitchen. 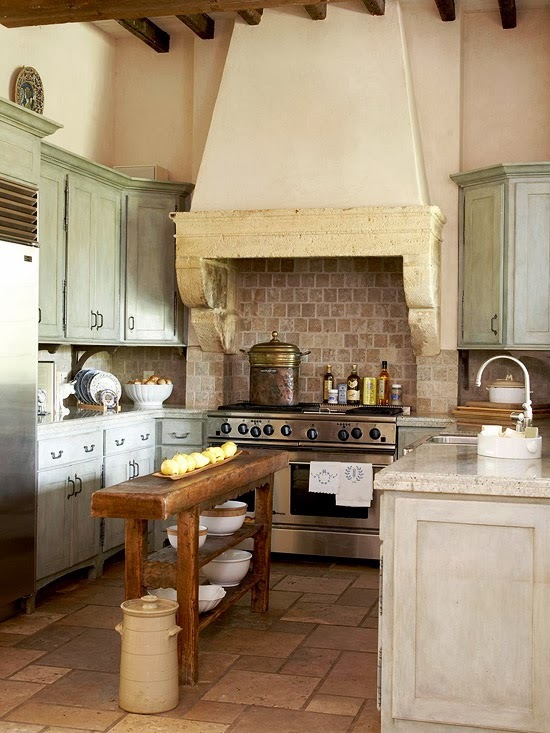 Rustic pine armoire-style doors on the pantry add warm texture and historic flavor to a new kitchen. A piece of fabric inspired the unique fretwork pattern carved into these custom cabinet doors. 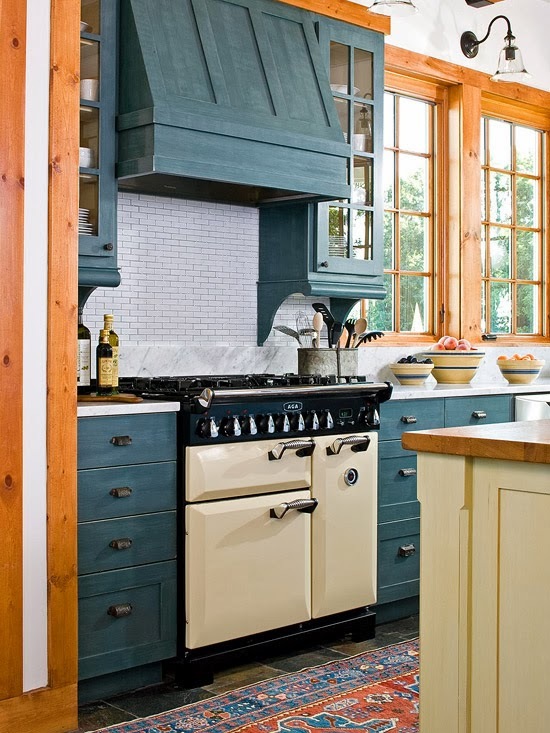 While custom cabinets are expensive, they can offer a one-of-a-kind look. 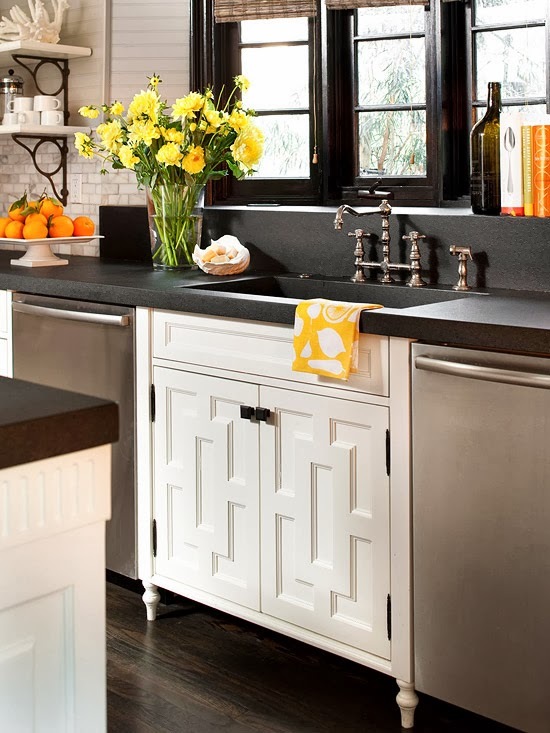 Embellish clean-line cabinet doors such recessed-panel Shaker-style or flat-front contemporary panels with molding for a custom look for less. 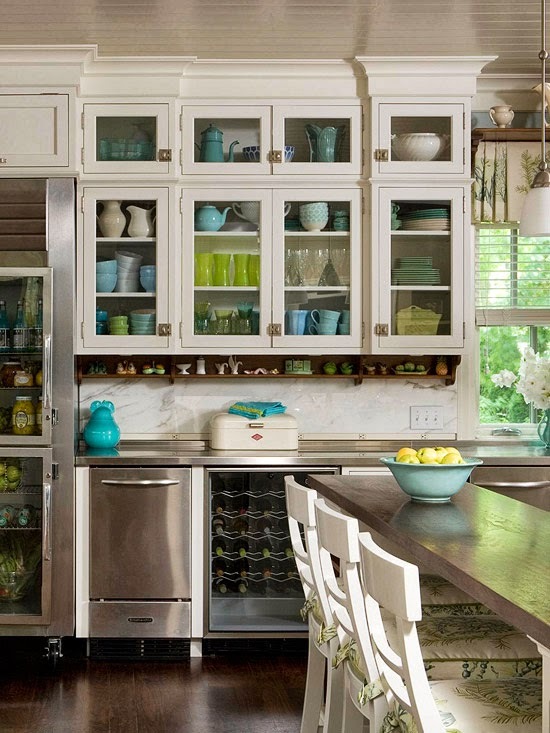 Transform a standard cabinet into an appliance garage. 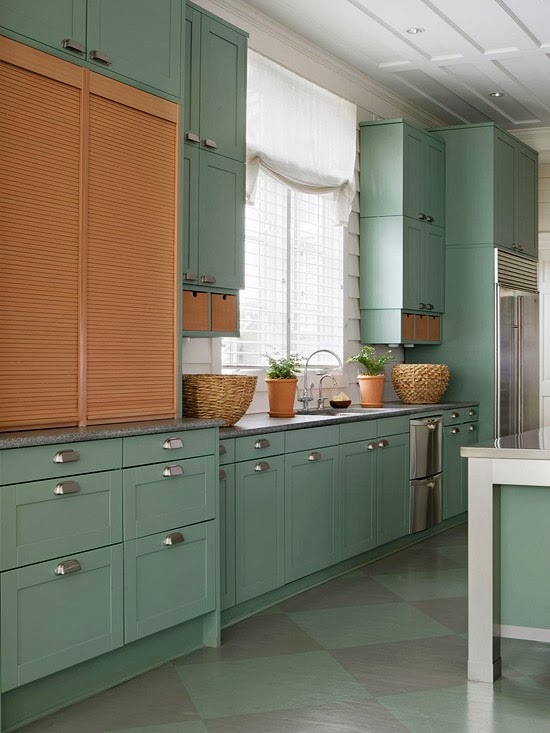 Replace cabinet doors with tambour doors that slide up out of the way for easy access to small appliances behind. 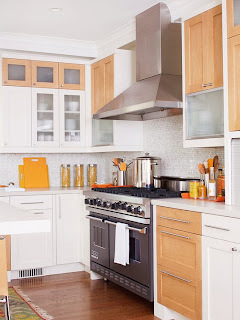 Choosing a contrasting finish breaks up large spans of mundane cabinets. Different pieces of refurbished antique hardware dress up these cabinet doors and drawers with unique style. 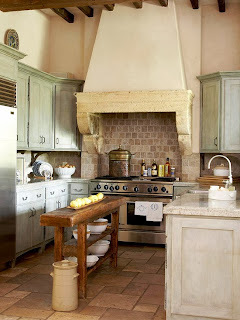 The aged pieces compliment the country style of the glazed cabinets. Inset a tall cabinetry panel with an old-fashioned chalkboard to serve as a large message pad. Or, paint a cabinet door with chalkboard paint. 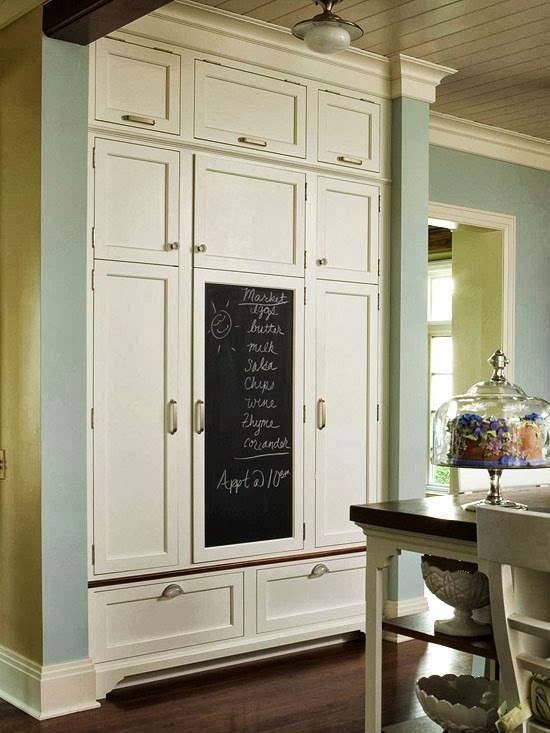 A pantry door is the ideal size and the perfect location for jotting grocery lists, snack suggestions, and don't-miss messages. 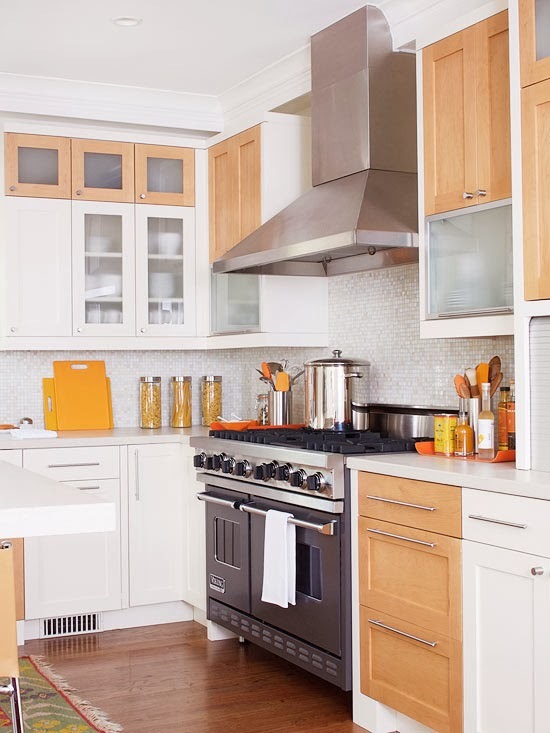 Warm wood door fronts blended into crisp white cabinetry creates noteworthy contrast and visual interest in this clean-lined kitchen. 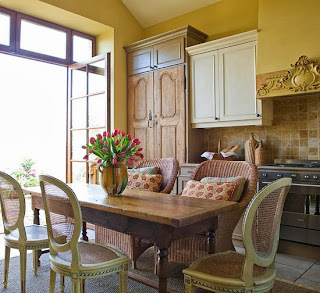 Equally bright and light, the wood adds warmth and color to the monochromatic room. Cabinets feature doors of varying panel styles for a gathered look in this welcoming kitchen. Raised panels blend with beaded-board inserts for traditional style with a hint of casual country and glass doors provide an opportunity for personal display. Tone down painted cabinets by giving them a distressed finish or a coat of glaze to blend into old-world style.